While the United States offers the highest standard of healthcare in the world, there is still huge treatment variation based on the doctor you see. Bottom line, the doctor you choose will determine the quality of care you will receive. Here is an overview of how to navigate through the healthcare system — and how to find the best doctor for back pain and neck pain problems. There are many ways to identify the best specialist within a given area. One place to start is to consult a family practice doctor who addresses your general healthcare needs. This “primary care physician" (PCP) will usually know the best spine surgeon or spine physical medicine physician within a specific city. 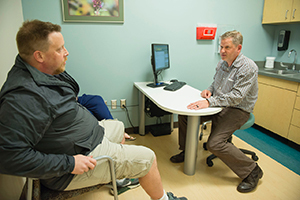 Also, since this primary care physician may have referred patients to that specialist before, they may have seen firsthand their clinical outcomes after surgery. If these outcomes are poor, the primary doctor will not refer additional patients. The first potential downside to relying on a PCP referral relates to the changing healthcare industry. Over the last 10 years there are more and more hospital systems that have employed PCPs to “capture” specialist referrals and the revenue they represent to the hospital for surgery and hospitalizations. Some hospitals can provide an incentive to PCPs if the revenue from surgical specialists at the hospital campus goes up. The goal is to keep referrals within the hospital system. The second downside, is that this referral process abdicates the selection process to someone else. Also, some physicians refer to other physicians out of habit, or in the hope of reciprocal referrals back. The educated healthcare consumer would do well to perform secondary research to identify the best possible specialists and clinics within a given specialty. Fellowship training is the highest level of medical training in the United States. This is an indicator that the physician has completed an additional year in an area of specialization. Note where the physician has trained. Training at a large or prestigious institution would expose the physician to more complex cases, which in turn makes them more proficient in their specialty. With anything, practice makes perfect. The more someone does something repetitively, typically the better they get. This is especially true in the area of spine surgery. A physician who does more than 150 spine surgeries a year will be more proficient than a surgeon who only does 50 spine surgeries a year. It’s not necessarily a good generalization applying this to the age of the physician. 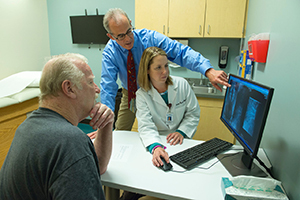 While a 65-year-old physician has likely performed more spine surgeries over their career, they might be providing state-of-the-art spine care from 35 years ago when they were trained. 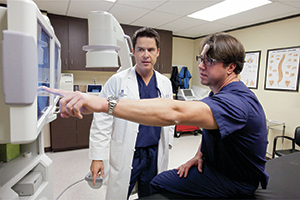 While many surgeons in their 50s and 60s go through continual training to become proficient in the newest minimally invasive spine surgery techniques, there are others who rely on old ways that are more comfortable to them. For the patient, the “old way” might mean a 3-inch incision, two days in the hospital, and a longer more painful recovery. By comparison, new minimally invasive spine surgery techniques enable the trained physician to operate through a one-inch incision through tubular retractors the width of a ball point pen. Their patients, conversely, go home the same day and have a quicker, less painful recovery because there is less disruption to muscles and ligaments from the tiny incision. So, with the ever-changing medical technology, it may be that the younger physician is better trained at, and more receptive to, the most advanced techniques and instrumentation like the artificial disc. How many spine surgeries does the surgeon do each year? Do they refer any patients to a non-surgical specialist like a Physical Medicine & Rehabilitation physician, or a fellowship-trained pain management anesthesiologist, for spinal injections to see if symptoms can be relieved without the need for surgery? If spine surgery is necessary, do they provide alternatives to spinal fusion, such as the artificial disc for motion preservation and to reduce the risk of herniations at other levels. The above concerns about unnecessary surgery explain why several health insurance companies in some states mandate that a back pain or neck pain patient start with physical medicine physician for assessment, diagnosis and if necessary, referral on to the spine surgeon. Just as a spine surgeon may be biased toward surgery, a physical medicine or pain management anesthesiologist may be biased to nonsurgical procedures, like spinal injections or other procedures designed to deaden nerves and relieve symptoms. In this sense, the patient can be trapped in a circular algorithm where they are told to keep coming back for ongoing visits or procedures — that go nowhere. Taken to an extreme, a nonsurgical bias can protract care and extend the patient’s disability, affecting their work life or even personal life because of the financial impact from loss of work. Generally speaking, anyone who has endured 6 months or repeated visits and procedures should proceed on their own to a spine surgeon to at least learn their surgical options. They may be pleasantly surprised to learn that a simple discectomy could quickly relieve their symptoms permanently and get them back to work and their favorite recreational activity. There is a lot of information on the Internet, and unfortunately, a great deal of it can be misleading. In the field of spine there is no shortage of marketing gimmicks to attract patients to a magic pill, treatment or surgery. TripAdvisor is a very successful Internet site that features traveler comments about hotels, resorts and restaurants. But is a person's rating of a hotel meal the same as that person’s ability to understand diagnosis and treatment of complex neurological disorders? Social media / Facebook etc. 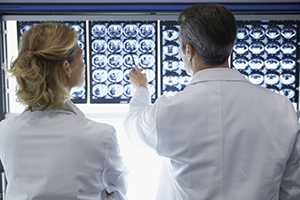 More healthcare organizations are relying on social media to reach consumers. Where information is educational, this can be helpful to the consumer. The key is to avoid places and providers who make unrealistic promises without ever seeing the patient. Once you’ve identified what you think is a good spine specialist, you need to make an appointment where you will be evaluated and some diagnostic tests are performed. 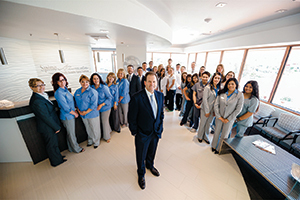 The best specialists within a given niche will typically provide all the appropriate nonsurgical and surgical treatment options for your problem, along with the pros and cons of each approach. In some cases, treatment may include watchful waiting for a period of time. In other cases, like when you have numbness or weakness in a hand or foot, you CANNOT use watchful waiting, as these symptoms can become permanent and lifelong if not treated promptly. If your doctor is unwilling to answer questions about your diagnosis or treatment, you’re in the wrong place. Go find another doctor. The best spine centers of excellence invest energy and their own money to help the patient understand what may be causing their back pain or neck pain, and all the potential treatment options that may relieve those symptoms. It’s important to understand that health insurance companies don’t reimburse a spine center for the cost of patient education materials. The physician who doesn’t provide patient education materials — symptoms charts, home remedy books, home exercise programs, etc. — simply pockets more profit. The spine centers that do provide this helpful patient education recognize that this information will encourage you to be compliant with therapy and other recommendations which will result in your long term recovery from back pain — and prevention of future injury. 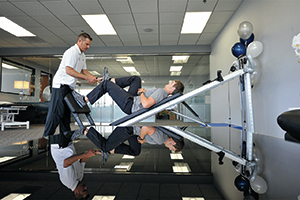 So these spine centers of excellence are truly invested in your treatment and recovery. So you’ve been told you need spine surgery for a herniated disc… Many health insurance plans advise, or require, that the patient receive a second opinion when treatment involves a complex surgical procedure. This is excellent advice. Furthermore, the healthcare consumer should not inform the second provider that their visit relates to a second opinion, since some physicians are reluctant to provide conflicting opinions. If you have received two identical, unbiased opinions related to your diagnosis and recommended treatment, you can proceed accordingly with more confidence that you are pursuing the right approach. You are very overweight which is causing your back problem, and even with surgery, it could cause future disc herniations. 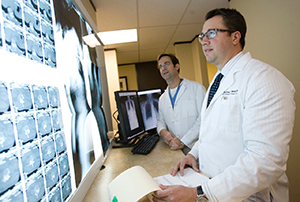 You must stop smoking before spine surgery because it will affect the success of the fusion surgery. You live a high-risk lifestyle that raises the risk of back injury from extreme sports or accidents. In this sense, you may not like the messenger, but that physician may be your best advocate for successful treatment and recovery.